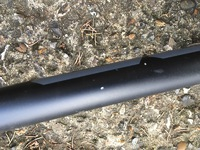 For sale: Fuji 2.1 track frame – aluminium, size small. A couple of paint chips but otherwise good condition. 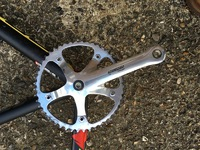 Fitted with handlebars and Campagnolo Pista chainring, 48T, 170mm cranks. 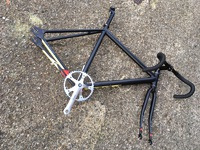 Offering free as I need to make space; hoping someone might be looking to build a bike out of it…! Awesome, I'll take it off your hands!